COLOR(S): Reddish brown, red, gray with black overlap. The face and ears are black. The Belgian Shepherd Tervuren strongly resembles the three other breeds of Belgian Shepherds (Belgian Sheepdog/Groenendael, Belgian Malinois and Laekenois) in coat color, stature and muscular build. They stand out with their beautiful, long, feathery coat that creates a picturesque example of grace and power. 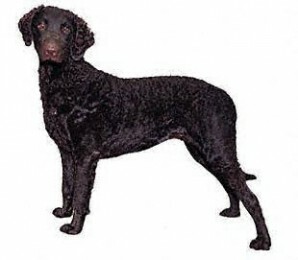 Their red, gray and black coat is abundant and distinct in appearance. Originating from the same breed as the other Belgian Shepherd dogs, they have traditionally been used as working dogs to guard or herd flocks. These centuries of herding and guarding make them excellent working dogs that perform exceptionally well with obedience, tracking, agility and herding tasks. Additionally, they remain reserved and are not often friendly to anyone who walks by. Contrastingly, they are wonderful and active family dogs wanting a master that they can serve. They are devoted, intelligent, alert and courageous and enjoy an active lifestyle. With a medium-sized, square build, Tervurens can adapt to either country or urban living but need ample space to exercise. Much like the Groenendael (Belgian Sheepdog) and the Laekenois, the Tervuren tends to be a one-person dog. All three can be snappier than the Malinois as well. Belgian Tervurens may turn toward mischief to entertain themselves if they are not occupied for overly long periods of time. However, they greatly enjoy being with their masters and are obedient, loyal and protective. This breed is known to be lively, attentive, very active and intelligent but also somewhat reserved. The Belgian Shepherd Tervuren requires weekly brushing of their luxurious coat. They will shed more heavily during the spring and autumn, which can require additional brushing. Similar to the other Belgian Sheepdog breeds, Tervurens are primarily free of hereditary diseases. They can be afflicted by hip and elbow dysplasia as well as epilepsy. These problems should be checked out just in case. Other potential health concerns include thyroid and eye problems, cancer, Progressive Retinal Atrophy (PRA) and anesthesia sensitivity. Belgian Tervurens require vigorous daily exercise. They come from a working dog breed and will therefore enjoy the opportunity to exercise off leash as much as possible. Wide-open fenced runs are suggested for Tervurens. Belgian Tervurens excel in both herding and obedience training.